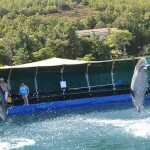 When you get to Marmaris, you can be disoriented when you see all the entertainments that this city offers. 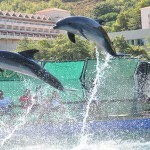 But we strongly recommend you to visit Marmaris dolphinarium. Our Dolphin Park Tour gives a real chance to take a closer look at pretty dolphins. They are amazing and very cheerful. We provide the full service for our clients. It includes our guidance and transfer. There are 4 shows a day. The first one starts very early in the morning, around 8.45 a.m. The duration of a session is about an hour. 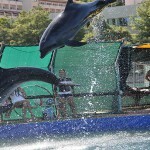 The session includes 45 minutes of the show and 15 minutes to wander about the dolphinarium. After we give you a lift to your hotel. 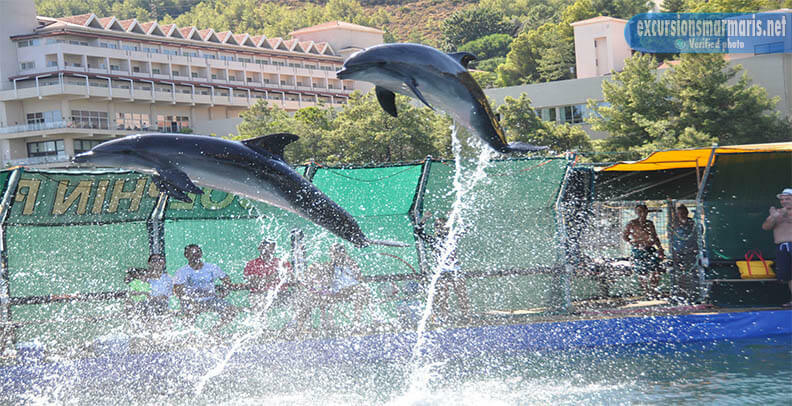 The dolphinarium is open all year round. Our tour is availabel for you all year round as well.The tour lasts about two hours. We pick you up from the hotel at 9.00 a.m.The duration of the show is about 45 minutes. This trip is very exciting, and the price of it is not very high. It’s worth it! 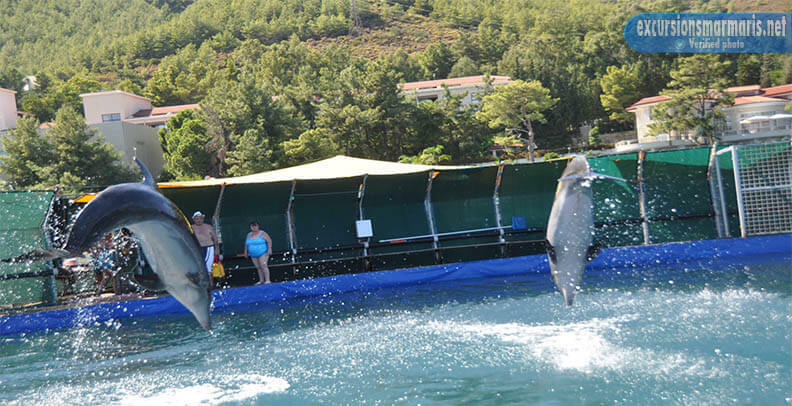 Visiting Marmaris dolphinarium gives you a lot of unforgrttable emotions. 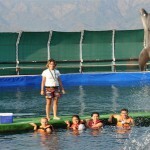 You just sit and watch how professional trainers work with very talented dolphins. And it can be a surprise for you to find out that these mammals are so clever! 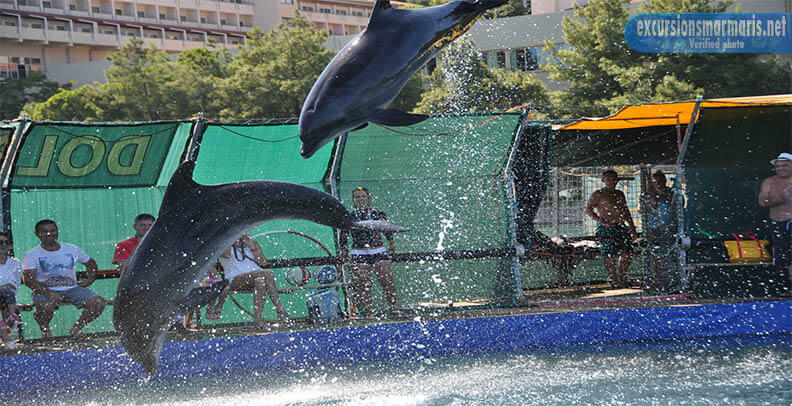 The dolphins clap their flippers, play with balls, show acrobatics and communicate with the audience. The visitors can take photos for free. Moreover, if you need any help, you can ask a member of the staff . The staff is always ready to be a helping hand. 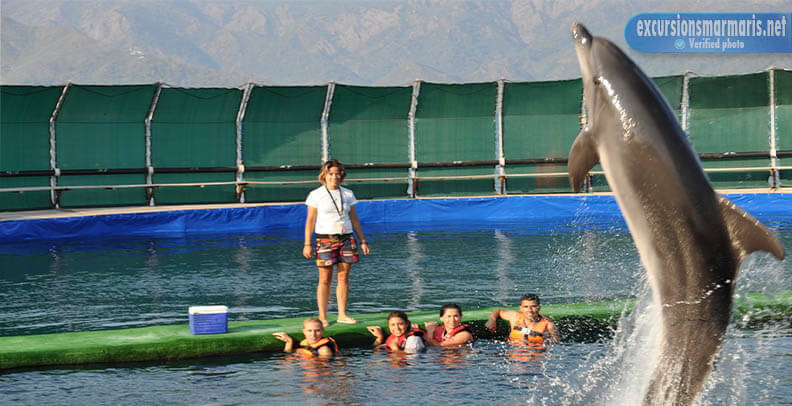 We are one hundred percent sure that a trip to Marmaris dolphinarium is one of the greatest entertainments that can be found in Marmaris.